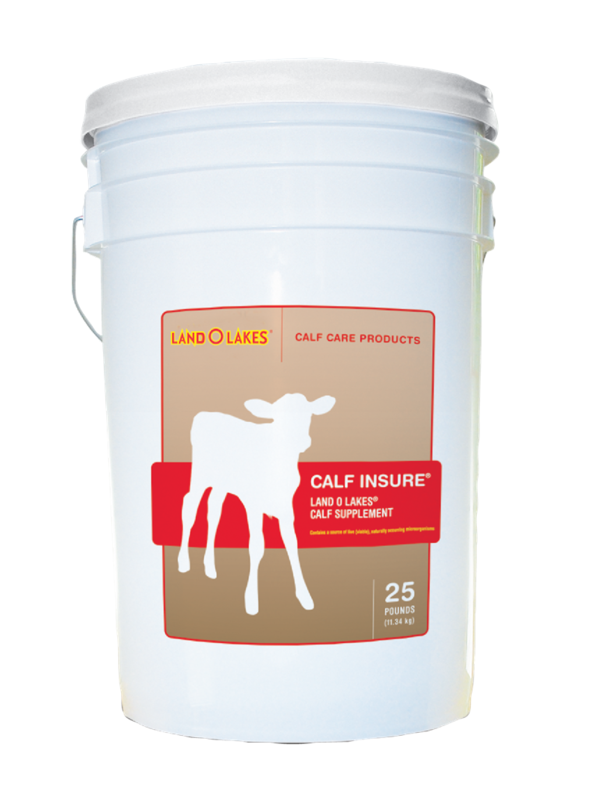 LAND O LAKES® Calf Insure® is an effective way for producers to increase the numbers of beneficial bacteria in the gastrointestinal tract to help maintain gut health as well as improve digestion. Calf Insure® contains high levels of antioxidant vitamins to support immune function and its non-medicated formula requires no withdrawal period. All bacteria in Calf Insure® have been tested and do not produce harmful D-lactate. D-lactate production and excretion has been linked to acidosis and increased scours in calves. Calf Insure® also is formulated with Bio-Mos® to promote good bacteria and build natural defenses to maximize animal performance. For additional information, please reference technical publications at www.lolmilkreplacer.com.